Airline companies have high standards when it comes to hiring flight attendants. Mostly, they do not just require candidates to have a degree and a pleasing personality, but most importantly they must also be physically attractive. One of the airline companies that is known to have good looking flight attendants is our own flag carrier, Philippine Airlines. It’s not only the class services Philippine Airline has been known for but recently, it has proven that the airline company also employs crews who are noticeably attractive. The viral video posted by Tim Sawyer on his Facebook showcased how a PAL flight attendant effortlessly made him fell head over heels. In the video, Tim secretly filmed the flight attendant as she was busy doing her job. 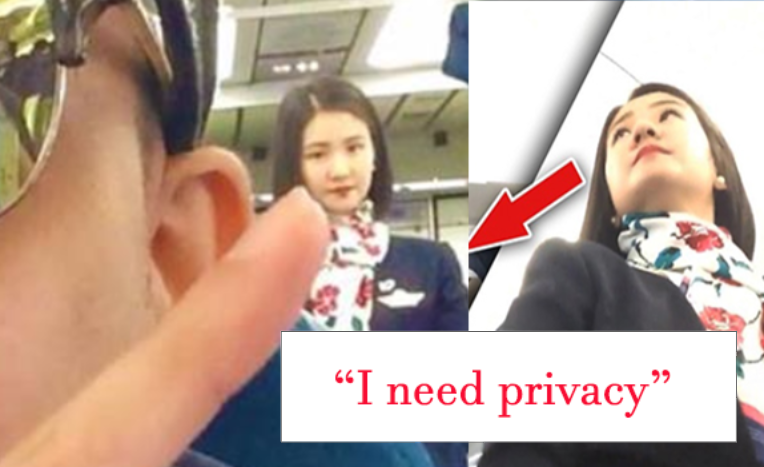 Because of big infatuation, the passenger confessed on the video that the pretty flight attendant will soon be his wife and started calling her “baby” up until the video ends. Unfortunately, the flight attendant did not know that she was filmed and fantasize by one of their passengers. After the video was posted online and gained thousands of views, netizens hunted for her identity to help Tim Sawyer meet her in the future. However, the way most citizens expected to where the ‘love story’ would lead turns out the other way around. The pretty flight attendant on the video was pissed because somebody filmed her without her consent. According to her, she noticed Tim Sawyer during his flight and thought that he was just filming the aircraft, but on her surprise, her private life was jeopardized because of the viral video. Because of the attention she was getting, the flight attendant deactivated her social media accounts. She’s married already has a child.